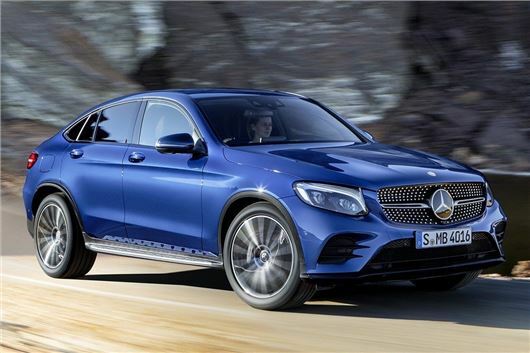 Mercedes-Benz has announced details of its BMW X4-rivalling GLC-Class based coupe SUV. 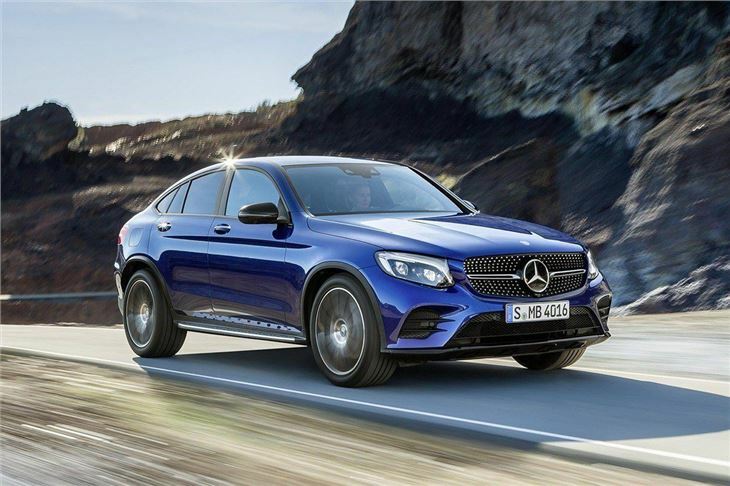 The GLC Coupe is likely to cost from around £37,000 and is due to go on sale in the autumn with a range of two diesel engines and one petrol. 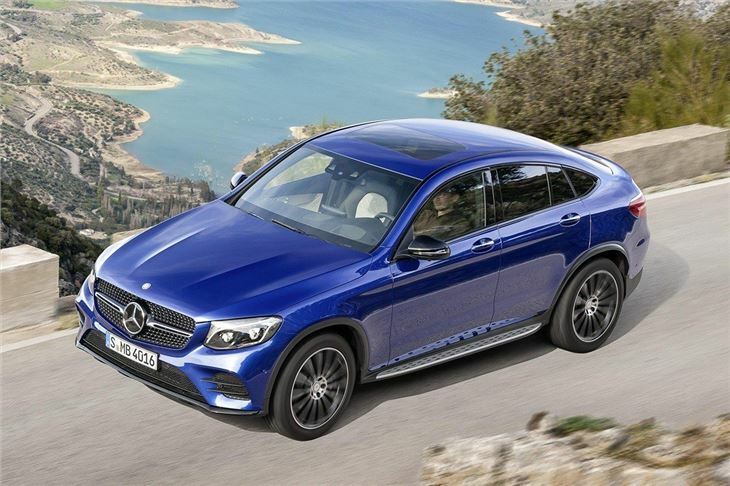 Later in the year a plug-in hybrid and high-performance AMG model will arrive. The entry-level diesel engine is a 220d with 170PS and 400Nm of torque, producing 131gkm of CO2. This is joined at launch by a 250d with 204PS and 500Nm of torque, but emissions are the same at 131g/km, with fuel economy of 55mpg. The 250 petrol engine produces 211PS and 350Nm of torque, with emissions from 159g/km and economy of 40mpg. Later in 2016 Mercedes-Benz will add a 350 e plug-in hybrid, with 30PS emissions of as low as 59g/km, plus a short pure electric range. 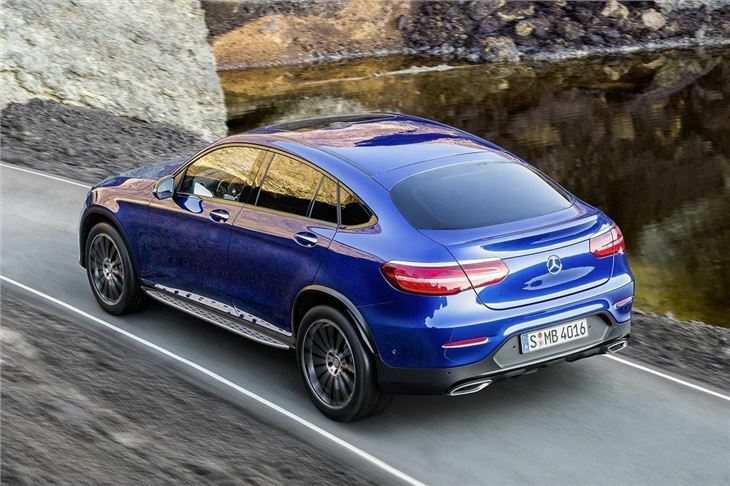 At the other end of the spectrum is the GLC 43 AMG, powered by a 367PS biturbo, which is expected to have a 0-62mph sprint time of less than five seconds. Sports suspension is fitted as standard in an effort to bring out more of the coupe-like characteristics and suppress typical SUV body roll. Drivers can select between Eco, Comfort, Sport, Sport+ and Individual drive modes, which alter steering response and weight, along with throttle response and transmission shift patterns. Standard equipment includes 18-inch alloy wheels, a reversing camera, keyless go, Artico upholstery, auto lights and collision-mitigating brakes. 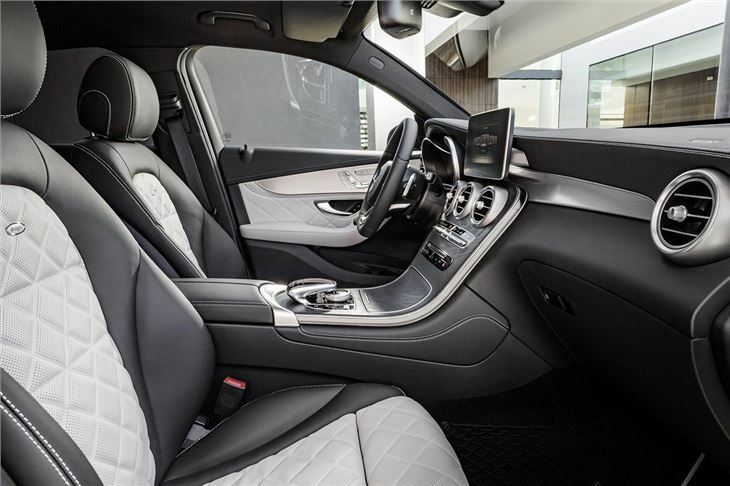 Options include alloy wheel designs up to 20 inches and AMG Line exterior and interior detailing, along with air suspension and, for petrol variants, a sports exhaust.